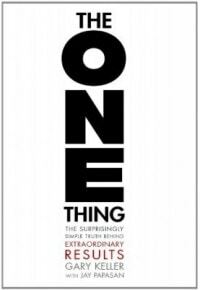 Sep 29, 2018- Gary Keller the author of this book The One Thing tells us different ways to increase productivity. At last, he give us steps to improve: mental energy, emotional energy, spiritual energy, business energy, and physical energy. Reading time: 5 minutes.